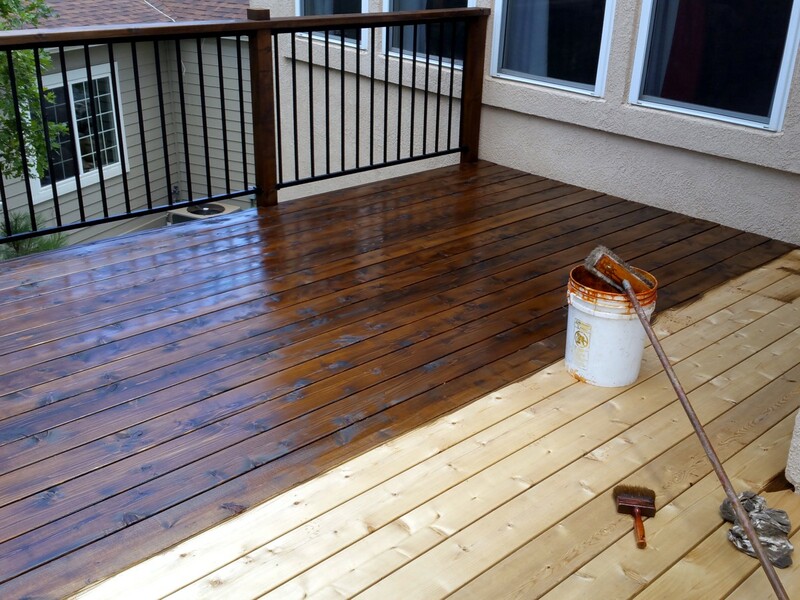 Looking for a professional deck restoration in Colorado Springs can be a challenge. Luckily, a contractor capable of handling the job isn’t that far away. By taking note of a few important aspects, you’ll easily be able to tell whether or not you should give a company your business. Remember, when looking for a contractor to rebuild your deck you should keep your expectations high. The Colorado Springs deck restoration professionals you choose to work with should be willing to consult with you every step of the way, from the early planning phases up to the budget and scheduling phases. Below are some more guidelines to consider when you start your search for a deck building professional in Colorado Springs. When doing your research on deck refinishing professionals in Colorado Springs, ask questions about the experience of the contractors. For instance, how large is their body of work? What services do they offer? How long have they been in business? By getting answers to questions regarding the reputation of a deck rebuilding service, you could potentially be saving yourself lots of unnecessary hardship. A good rule of thumb to keep in mind is the longer a company has been in business, the higher the likelihood is of your refinishing project going successfully. Of course, every rule has its exception which is why trusting your initial feeling after consulting with the contractor yourself is the best course of action. It’s important to remember that not all contractors have identical credentials. Try to do a comprehensive search about everything reputable outlets have to say about the contractor you’re considering using. Those sources typically include former customers of theirs, or a local chain of commerce. Doing background research is the best way to ensure that a contractor is as reliable as they say they are. If you can, visit their offices in person. Also don’t be afraid to ask in-depth questions regarding their insurance and make sure they have positive reviews to reinforce the fact that they’re a reputable contractor to work with. If it’s hard to find info regarding past clients, or insurance it could be an indicator that you should find a different Colorado Springs deck refinishing contractor to work with. When a deck refinishing contractor provides adequate information on their website regarding their services, it’s typically a good sign they’re experts in their field. The information they provide should be helpful for prospective clients who need help making the right decision regarding their deck project. The best way for contractors to make sure their project goes well is for clients to be well-versed in every aspect of the process. When contractors have websites filled with quality information, it’s usually a good sign that they’re dedicated to making sure every project they work on exceeds the expectation of their client. If you’re looking for deck refinishing in Colorado Springs, the experts at O’Leary & Son’s would be happy to learn more about your project. Contact us for further information on how we can provide you with the ideal deck for your home this summer.